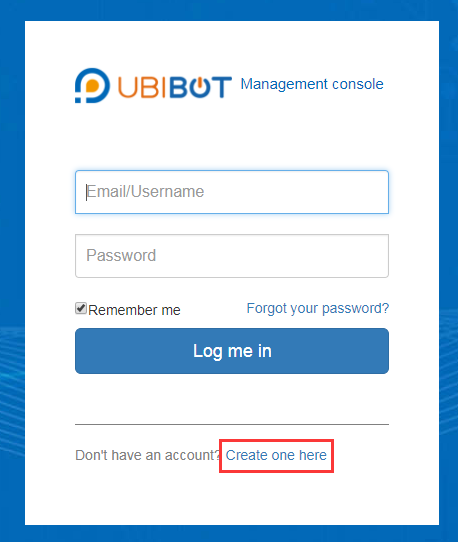 You will need a new, valid, email address to create a new account. If you want to delete your old account, please see the separate documentation. 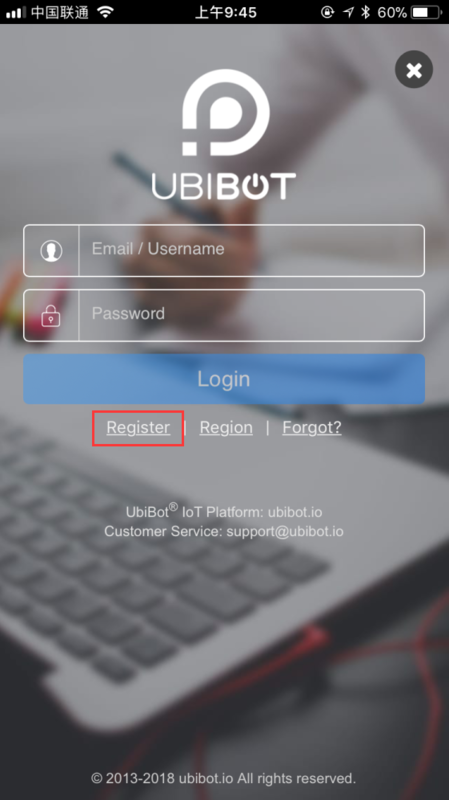 Open the login page in the UbiBot App or on the IoT Platform. Click the Register button and fill in the details requested. You will receive an email with a verification link. 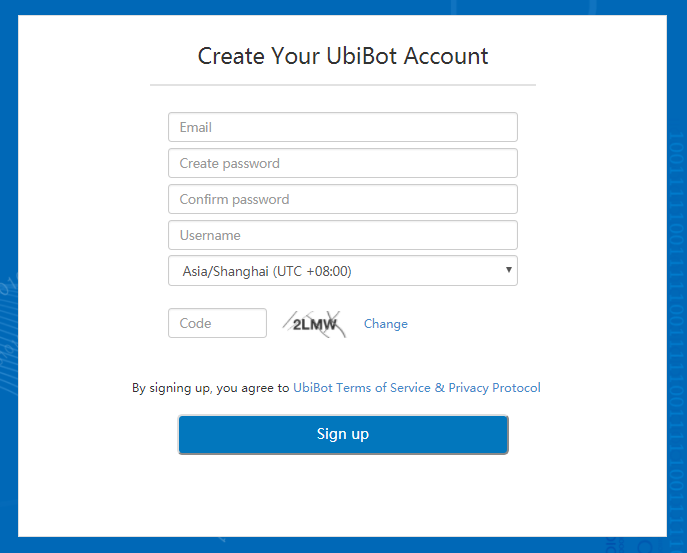 Click on the link to verify your email address and to finish setting up your account. 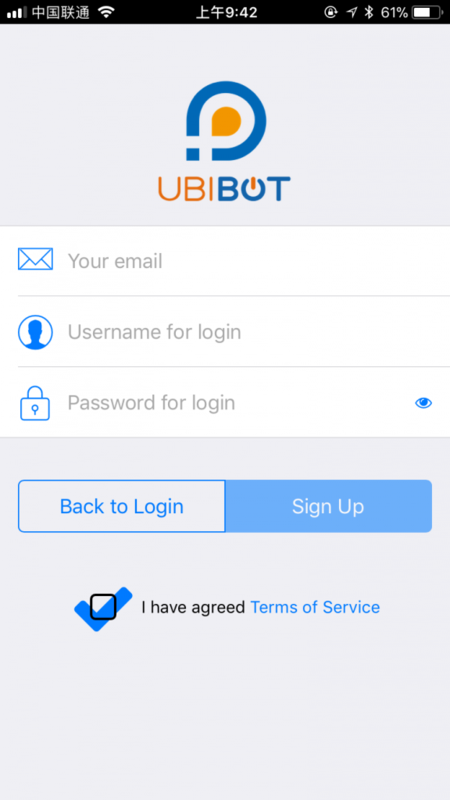 You can now login to your new account.